We are true experts when it comes to Tanzania. We live, work and travel here. 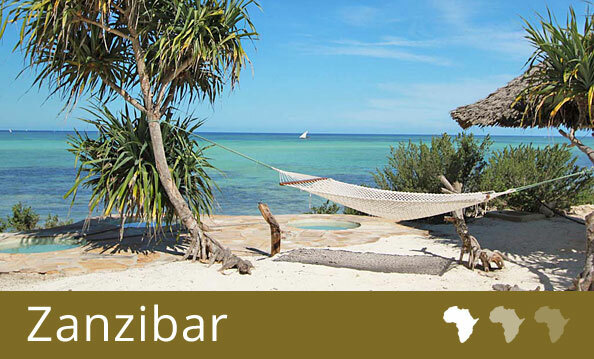 Tanzania-Experience arranges lodge and camping safaris, trekking and hiking tours and beach holidays. We carefully select our well trained guides, drivers, cooks and porters and have a fleet of well-maintained 4×4 vehicles as well as supply gear and equipment for camping safaris and climbing adventures. Not only will you find a variety of birds and animals in the parks, but also colourful flowers, butterflies and reptiles. For avid divers there is a vibrant underwater world of marine life to be explored on the reefs of the Indian Ocean. On our trips you will also learn more about the different cultures and tribes found in East Africa such as the Maasai, Meru, Chagga and Iraqw people. Tanzania is a fascinating country with diverse landscapes – majestic summits, clear lakes and mighty streams, lush rainforest and open savannahs. These often unspoiled areas form unique habitats for a large variety of animals as well as over 1000 bird species. Mt Kilimanjaro (5895m) is the highest mountain in Africa and Mt Meru the ninth highest. The Serengeti National Park with its endless savannah and Ngorongoro Crater (a UNESCO World Heritage Site) both offer unbelievable game viewing while the islands of Pemba and Zanzibar are perfect for relaxing, swimming and diving after a bush safari. Almost as multifaceted as the Tanzanian landscape, are the people and their culture. Over 120 tribes with their own traditional languages and rites live together harmoniously in Tanzania. 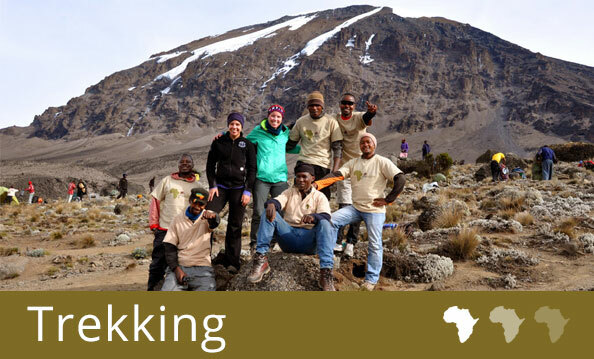 If you are looking for a challenge, Mt Kilimanjaro, the roof of Africa, is here for you to conquer. Explore the Tarangire in search of its huge elephant herds, gaze upon the pink glow of flamingos on the shore of Lake Manyara or be astounded by the abundance of wildlife inside the Ngorongoro Crater, a collapsed volcano. The famous endless plains of the Serengeti will take your breath away and you will doze off listening to the deep roar of the lions roaming past your campsite. Prefer to travel off the beaten track? Consider the less visited parks in southern Tanzania – Mikumi National Park, Selous Game Reserve, Ruaha National Park or Udzungwa Mountains National Park or book a trekking trip in the Ngorongoro Highlands. Choose between scheduled and private departures. Our scheduled departures are perfect for solo travelers and offer a very economical option to travel within Tanzania. Private departures can depart on any day of the week and you are free to choose your travel companions – friends, family or maybe just you alone? We will only recommend products and services we have first-hand knowledge of. Our international travel experts don’t just live and work in Africa but have travelled the continent extensively. We are on-site and keep track of the latest developments which we can subsequently incorporate into our itineraries – even at short notice. Tanzania-Experience is small enough to care and provide you with personalized service but big enough to offer you competitive prices. Whether we were born here or made Africa our home away from home, we at Tanzania-Experience are all united by the love and passion we share for the continent, its animals, landscapes, people and cultures. A love we long to share with you. We don’t turn a blind eye to problems faced in Tanzania, but instead try being part of the solution by coming up with new ideas to combat challenges – every day and in every aspect. 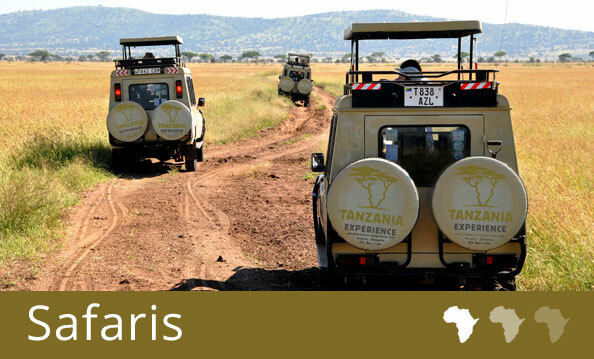 Cross border safaris between Tanzania and Kenya. Private trekking tours in the Ngorongoro Conservation Area. Day trips, balloon safaris, boat trips, day hikes and cultural excursions. From the moment Amos picked us up at Kilimanjaro airport until he dropped us off at Arusha airport 9 days later, everything was absolutely perfectly organized and worked like clockwork. It was a wonderful holiday, so much so that we are recommending Tanzania-Experience to all our friends and in marketing channels. Thanks all for the wonderful, jaw dropping and eye watering moments, the guys (Jessica and others) in the background planning the Safari… This was PERFECTION AT ITS BEST. Everything had been prepared very well, the car and all equipment were in best shape. The camps were all very suitable and we specifically enjoyed the tended camp (Kati Kati). All of us had a very great time and we will never forget this great and emotional experience. 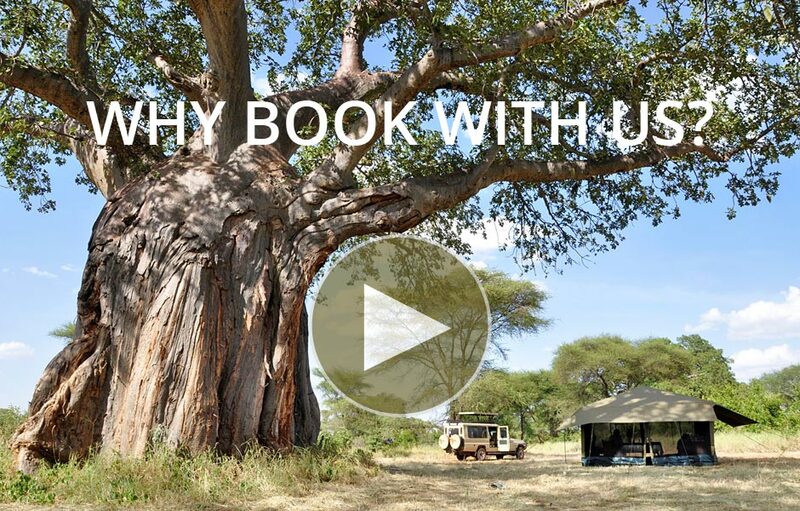 I can really recommend 100% Tanzania Experience and it’s professionalism and the Guide David. The second part, with 2 days in Zanzibar was the perfect relaxing end to the holiday. Thanks again – I’ve already recommended Tanzania Experience on Facebook. Our safari and mountain trekking office is based in Arusha while our sales team works from our Somerset West office in South Africa. We offer you great value for money as well as professional advice and travel tips.